Introduction to your sport: I got involved from the school I attended. I like how netball brings people together and the fact that you have to work as a team to achieve a common goal. Career Achievements: Netball World cup 2007 and 2015. Vice Captain National Netball team 2009. 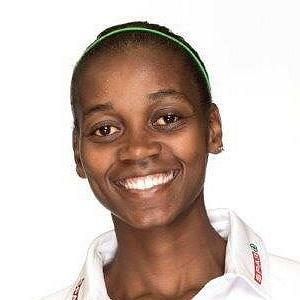 National Netball Captain 2011 at the All Africa Games. Commonwealth Games 2010 and 2014. 65 National Caps. Gilbert Ambassador. Importance of the EADP for you: I am grateful for this programme, I have benefited in so many ways. Individual attention, Rehabilitation through my injury. Training programmes which are professional.